It will be interesting to see the effects over the next few days and weeks – will drivers start using a different route to avoid potential jams on The Mall, leaving the street with less traffic…? The council have just carried out a ‘before’ speed and volume survey on this road in order to compare with the ‘after’ in a few months’ time. 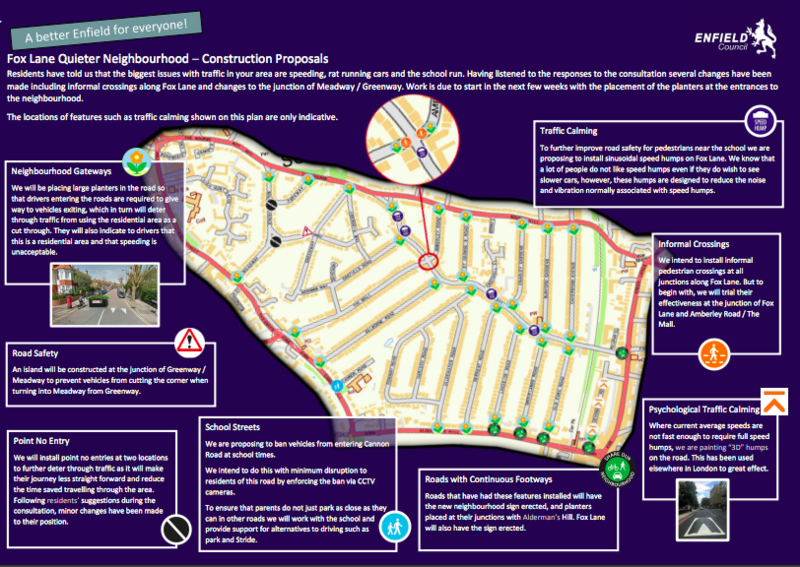 Another update is that the final version of the Quieter Neighbourhood map has reinstated the planters at the Aldermans Hill end of the four roads from Lakeside to Devonshire. The final version of the map shows the position of all the planters – click for a larger image.